Chatwala has released is video messaging platform of the same name, helping users move past text and photo messages and into the more personal space of video messaging. The app focuses on authentic reactions, recording the reactions of users when they view their messages, before allowing them to record their own reply. The app offers asynchronous messaging, with videos threaded together as one single conversation over time. The app is similar to services like ViddiPop and Vello, which also allow users to record and send video messages to others, but Chatwala aims to create entire conversations based around video, rather than just one or two isolated messages. To use Chatwala, users record messages of up to ten seconds in length, which can be sent to anyone via text or email. Videos can be viewed as soon as they’re received, or saved until later, with the reaction being recorded as the recipient first views the message. After, the recipient has their own ten seconds to record a reply. These reaction and reply videos can be previewed and re-recorded before being sent. By recording users’ reactions to videos, the app attempts to create complete, realistic conversations, even though they’re taking place asynchronously. Chatwala is available to download for free on iOS and Android. 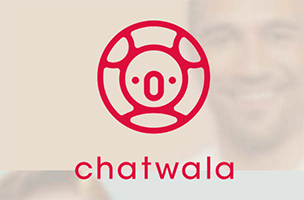 Check back soon to follow Chatwala on AppData, our tracking platform for mobile and social apps and developers.